﻿ Best Price on Antigua Guatemala Villas in Antigua Guatemala + Reviews! These charming villas are just a 10-minute walk from Capuchinas Convent, in the beautiful colonial town of Antigua Guatemala. Each air-conditioned villa offers a well-equipped kitchen, free Wi-Fi and flat-screen cable TV. 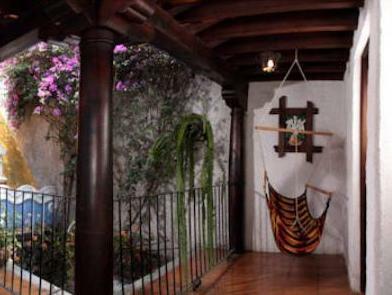 The Antigua Guatemala Villas are set around attractive courtyards filled with plants. Guests of the villas also have access to an outdoor pool located 1 block away, at Hotel Palacio Doña Beatriz. Each Antigua Guatemala villa has a living-dining room with a sofa and a private bathroom with a hairdryer and toiletries. Kitchens include an oven, hob, coffee maker and washing machine. Free parking is available on site, and staff at the 24-hour reception can provide local area information. La Antigua Cathedral and Central Park are a 20-minute walk away.